Times we fell out of our chairs laughing: too many to count! 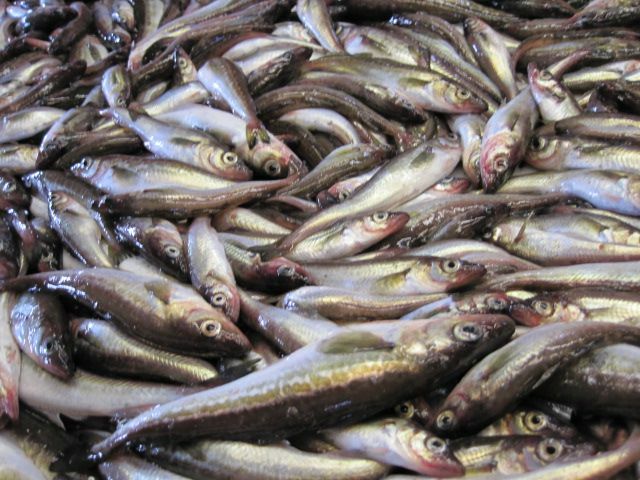 The chance to try my hand at fish processing (I will get you otoliths), net operations (10 out! ), bridge operations (this is a test), and survey tech skills (mark XBT 135!). The delicious food – to quote Michele, it was like eating at my favorite restaurant every day thanks to Ray and Floyd! The weather – although we had no control over it, it was great to have such pleasant weather the whole trip. Yes, there were foggy days and high winds but they made the clear days that much more exciting. How can I join the Oscar Dyson? • Join NOAA Corps – NOAA Corps partake in officer training and complete years of service to earn officer ranks (such as the CO, XO, Operations Officer, etc). 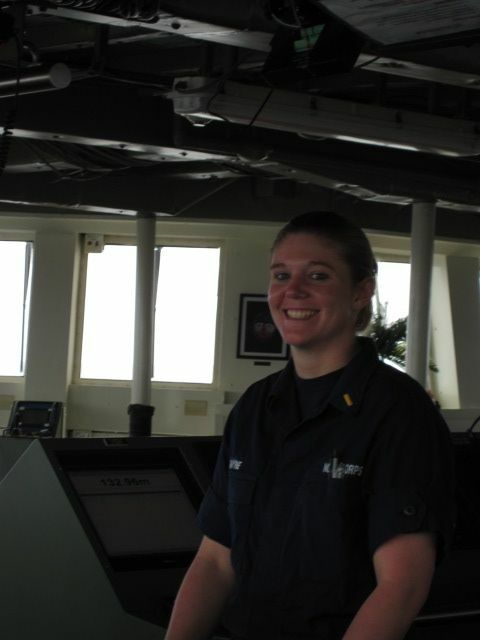 Unlike other military branches, NOAA Corps are required to hold a bachelor’s degree and have significant course work in math, science and/or engineering. For more information, click here. 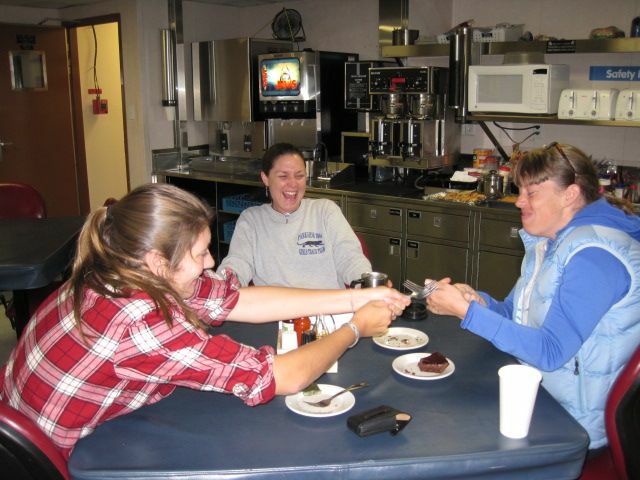 • Become a Deckhand/Fisherman – NOAA employs wage mariners for their deck crew. 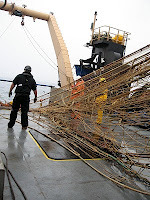 The Oscar Dyson has a deck and fishing crew to help keep the boat in order and to support the scientific research (moving the net, bringing the CTD in and out). For more information, click here. • Become a specialist – Beyond the deck crew, the ship needs specialists to help it run smoothly. We have a crew of amazing engineers, two great survey technicians, and a Steward department that keeps us well fed (the food is delicious here!). For more information,click here. 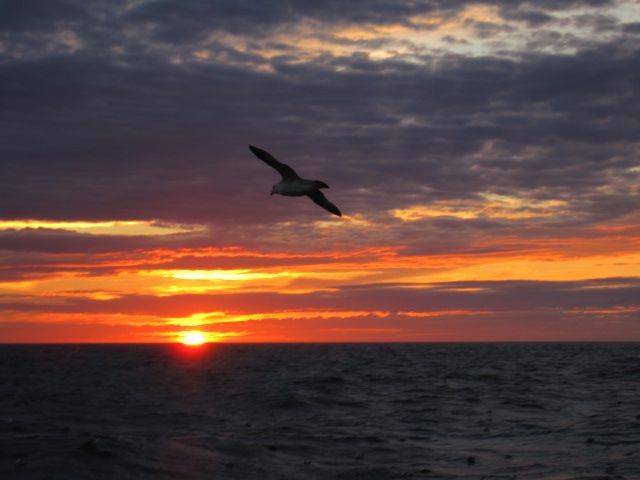 • Work for the National Marine Fisheries Service – most employees join a trip to complete field research and to ensure data collection and processing for those back in the lab. 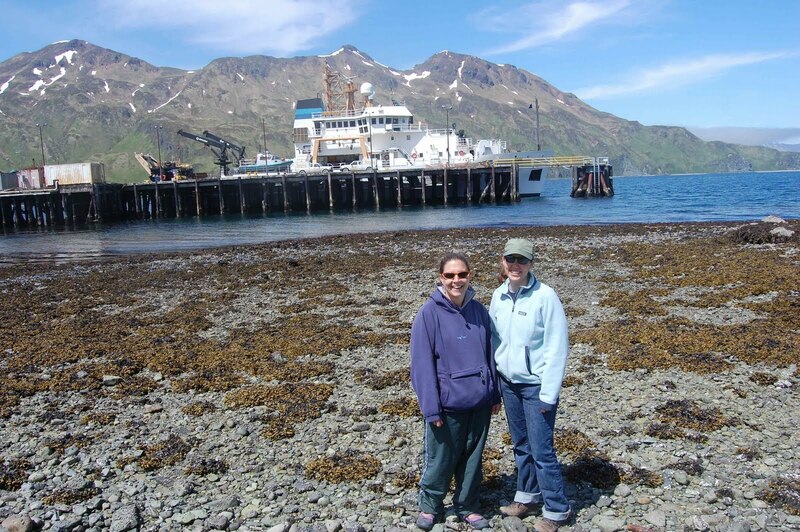 The Oscar Dyson works primarily with scientists from theAlaska Fisheries Science Center for the summer cruises.• Work for another marine life service – As mentioned before, there are two birders (from the Fish and Wildlife commission), three mammalian observers (from the National Marine Mammal Laboratory), and a scientist from the Pacific Marine Environmental Lab oratory. In addition, we are hosting two Russian scientists who are also studying pollock. 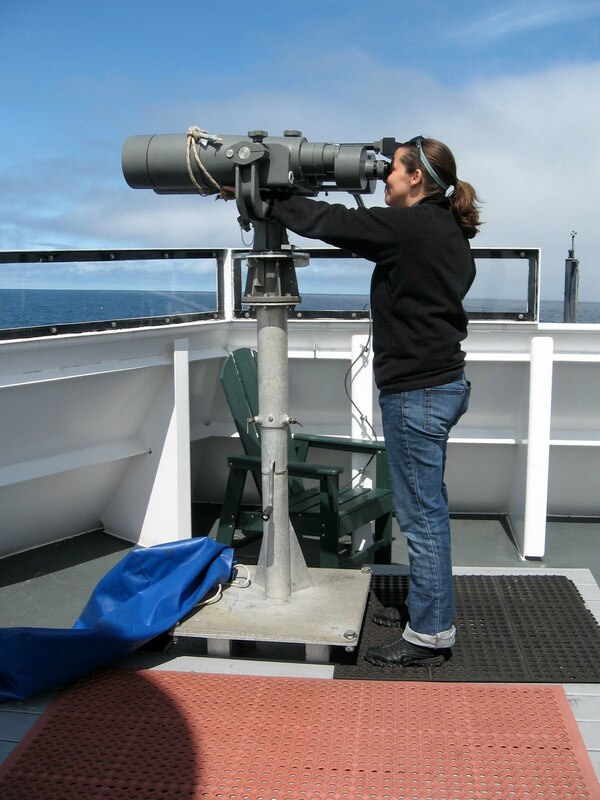 • Serve as a NOAA Intern – NOAA has a variety of internship opportunities for graduate, undergraduate and even high school students. You can check out more information here. 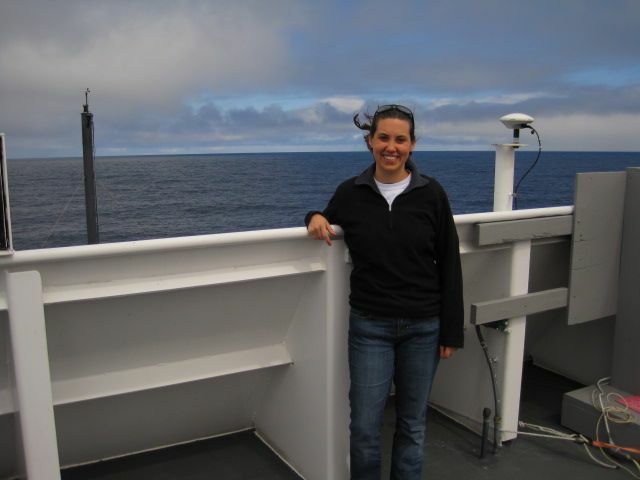 • Be like me and join a cruise as a Teacher At Sea – If you work in education (as a K-college teacher/administrator, an adult education teacher or a museum curator), you can apply to serve as a Teacher At Sea. 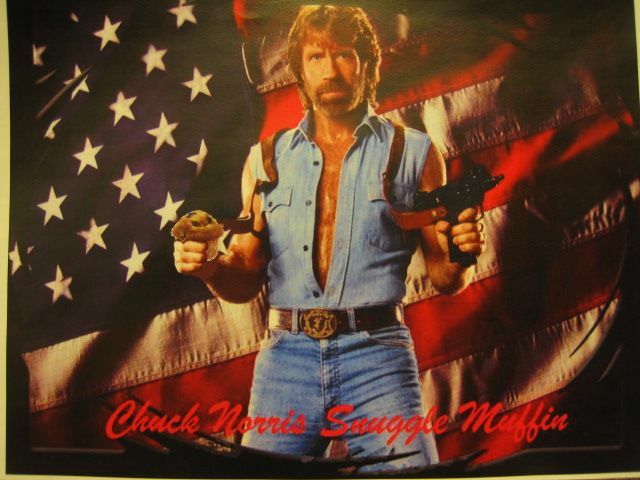 Trust me, its awesome. (more information and application information can be found at their website. A modern city has a network of companies that provide us with modern conveniences (water, electricity, sewage and trash removal). 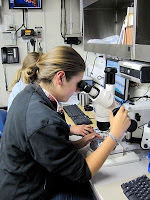 A NOAA research vessel provides those same conveniences to its crew through the complex engineering network. We wouldn’t be able to eat, drink, take showers, or conduct research without the expertise of our engineers. Sea water is taken in by an intake valve about 6 m below the surface. It goes through a variety of cleaning processes to filter, distill and purify the water for human consumption. 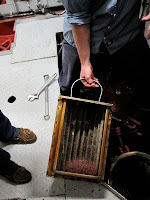 First, small sea creatures are removed by a filter known as the “sea chest.” Here is a picture of some of the creatures captured by the sea chest in the Oscar Dyson. Next, the water is distilled using the heat from the engine under a vacuum to remove dissolved ions. The water is then purified using bromine and UV light before it is pumped into the piping system (running throughout the ship in pipes labeled “potable water”). The water is so pure that we have to add salt for the espresso machine to recognize the water level (the science of the espresso machine will have to wait for a later entry). The Oscar Dyson requires electricity to run the ships instruments, the scientific equipment and the lights which allow us to keep the ship operational 24/7. Our power is generated by the engines which also propel the ship forward. The Oscar Dyson runs on diesel fuel and uses larger, more powerful versions of the engines we find in cars. 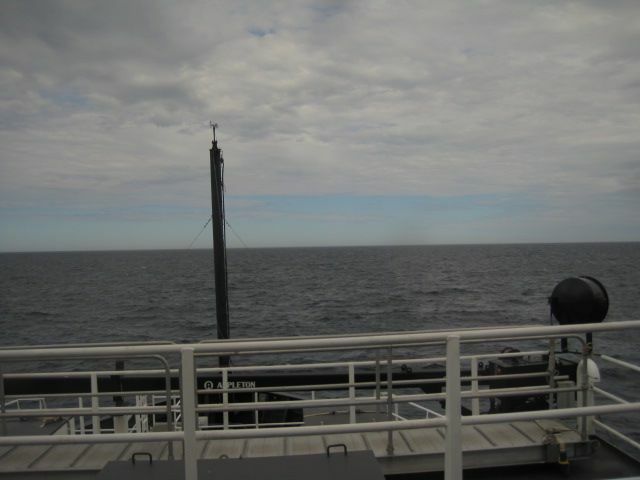 We use about 110 gallons of fuel each hour to maintain scientific and navigational operations. Kitchen and food waste are the main sources of trash on the Oscar Dyson. Trash is sorted and disposed of based on how it breaks down. 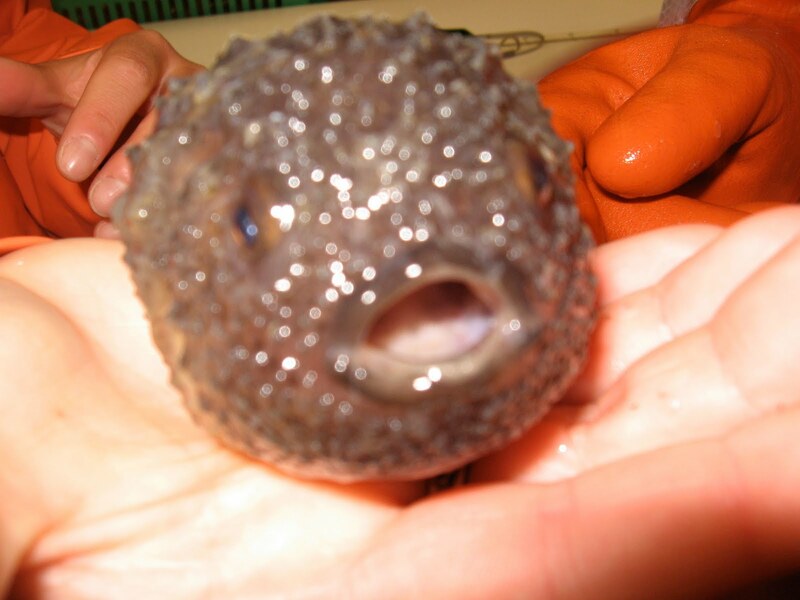 Food, which decomposes, is released into the ocean to re-enter the ecosystem. Combustible items (such as paper, napkins, etc) are burned in the ship’s incinerator which is run every night. Non-combustible items, such as aluminum cans, are recycled and brought back to land. Although a less than pleasant topic to discuss over dinner, it is important to remember that a ship must track its human waste as well. Per NOAA regulations, human waste is treated through a complex process before being released into the ocean (to re-enter the eco-system). This process, like those of water treatment plants and septic systems on land, break down the waste through multiple steps involving biological, physical and chemical reactions. Ask me for more information if you really want the dirty details. 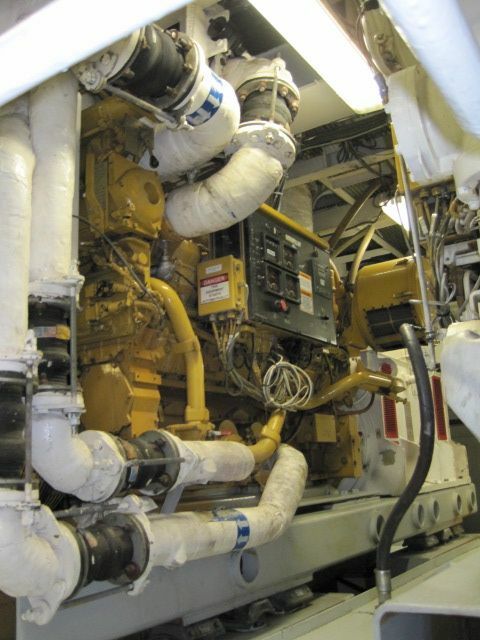 The Oscar Dyson employs an engineering staff of seven, who have specialized training and job responsibilities to ensure proper functioning and maintenance of the vessel. Like all good engineers, they usually work behind the scenes so it was great to get an inside look at the inter-workings of the ship. 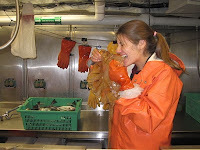 Aside from weather helping you decide what to wear for the day, weather is critical on board a research vessel. Each hour the bridge collects the same data that is then input into the AMVER Sea system and sent to NOAA Weather. Some of the information included is: time, latitude, longitude, cloud cover, air and water temperatures, wind, barometric pressure, visibility, and swell height. This helps determine our exact location (check out NOAA Shiptracker for more information) as well as the weather at sea and also weather inland. It is not uncommon for marine weather systems to move inland. This information also helps us understand long term climate changes, precipitation, and ocean currents. The latitude and longitude help determine the position of the ship and the time is recorded to understand how the ship is moving and in what direction. 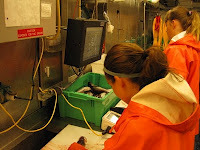 This allows the scientists to follow the transects to conduct their research. If I told you at 1500 hours (3pm) our mark was 58.00N and 171.48W, you would be able to pinpoint our location on a map. 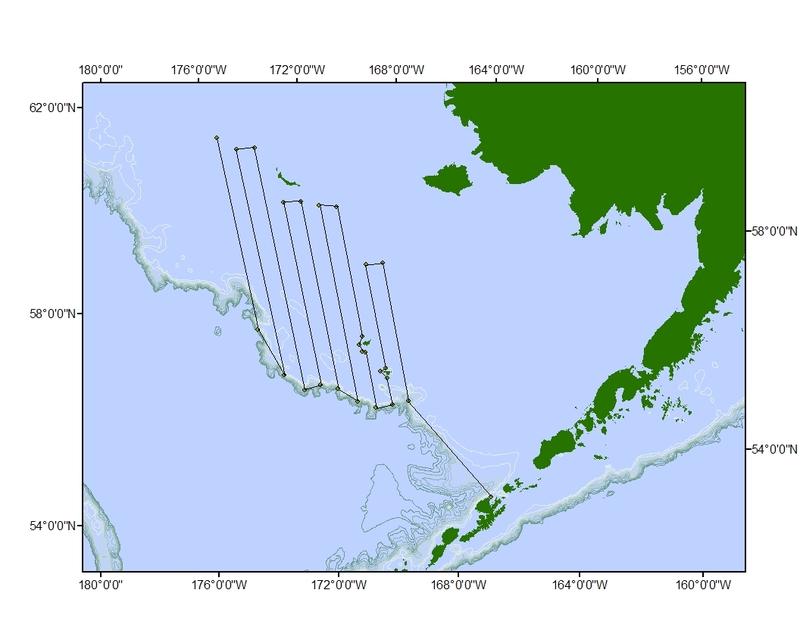 Our latitude so far on this trip (July 7th) has been in the range of 56.12N-58.69N depending on the transect that we are following and the longitudes’ range is between 170.01W-171.48W. It tends to be quite cloudy and foggy here in the Bering Sea and cloud cover is measured in eighths of the sky. For example, on July 6th the cloud cover at 1500 hours was 7/8 which means that 87.5% of the sky was filled with clouds. Cloud type and location can help predict the type of weather. The majority of our days have been 8/8 or 100% cloud cover with stratus clouds and lots of moisture in the air. This is definitely not the heat wave they are getting back home! This brings us to air temperature and wind. The temperature is always taken on the windward side of the ship because this is the side of the ship in the stream of air fresh from the sea that has not been in contact with or passed over the ship. 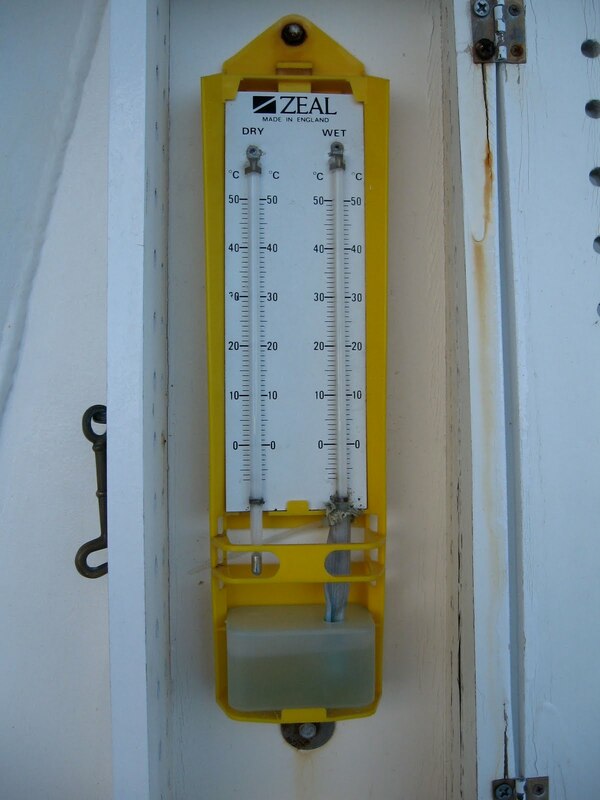 There are two types of thermometers in each case on the deck in front of the bridge. The dry bulb measures the air temperature and the wet bulb has a muslin wick which absorbs heat from the thermometer. The temperature difference between the two, called the depression of the wet bulb, can help determine what the percent humidity is by referring to the humidity chart. Wind can affect these readings which is why there are thermometers on either side of the bridge. The wind direction is logged as the same direction from which the sea waves are coming. Average temperature through July 7th for Leg II has been 5.680C/420F with winds averaging 10.29 knots. The weather mentioned has been the trend for Leg II; however, this could be changing by the end of the week…stay tuned! It’s July 10 and we are still waiting for the big seas to hit us. (not that I am complaining about calm weather!) The swells have gotten larger and the wind definitely picked up yesterday. The strongest wind recorded yesterday was 26 knots while on my shift. There is still a chance for NW sustained winds up to 25 knots and 10 foot seas before the weekend is up. Part of the reason for calmer seas yesterday was that we were so far north and the low pressure system was to the south of us. It was actually the farthest north I have ever been, and we will go even farther north before it is time to head back to Dutch Harbor. barometric pressure: the downward force that the atmosphere exerts per unit of a certain area.